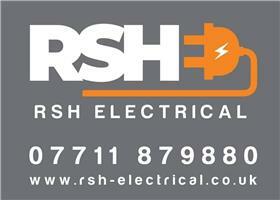 RSH Electrical is a company based in Monton serving all of Greater Manchester and Local Areas. We offer high quality services, exceptional efficiency at the highest level of professionalism. No matter what service you’re looking for, we guarantee to not only meet, but exceed your expectations and ensure your full satisfaction with the experience, skill, and customer service you deserve. With years of experience and skills we can tackle just about any type of job big or small. With RSH Electrical, clients know exactly what to expect - professionalism, efficiency and exceptional results. We can supply both the materials and labour for any type job. We perform installations, repairs and improvement upgrades at prices you can afford. We have lots of experience and skills necessary to tackle just about any type of job big or small. RSH is committed to getting the job done, You can count on us to be professional, timely, efficient and make sure you’re satisfied every step of the way.